Other states, including Massachusetts, are now contemplating getting into the sports betting game, but Rhode Island got a jump start on its neighbors, opening the sports book in late November. 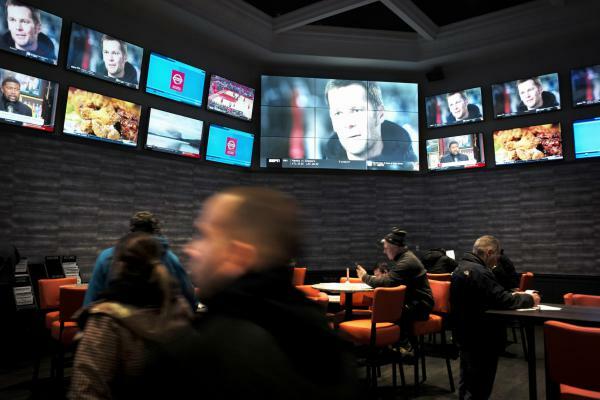 At Twin River on a recent day, a steady stream of people, mostly middle-age to older men, queued up for their turn at one of the four windows where bets on the Super Bowl and many other sporting events were being accepted. “This becomes the world’s biggest indoor tailgate party. And it’s filled with people who love sports, and that’s exactly what we wanted the space to do,” said Craig Sculos, vice president and general manager of Twin River, as he showed off the 3,600-square-foot area created last year for gamblers to try their luck picking winners. While waiting to get to the window, bettors can check the latest odds before laying their money down. Even though the wagers are 100 percent legal, none of the people placing bets were willing to have their transaction recorded for this story. Casino policy forbids reporters from interviewing guests on the Twin River property. And while some will win, and some will lose, the state of Rhode Island is sharing in the take. Revenues from the combined sports books in Lincoln and Tiverton netted over $1 million in just a little over a month after opening, with the state’s take being roughly $500,000. Rhode Island Senate President Dominick Ruggerio says legalized sports betting is good for the state. And Rhode Island may not stop at sports books at the casinos. Ruggerio supports a bill that would allow the creation of a smartphone app that would allow fans to place bets in the palms of their hands. 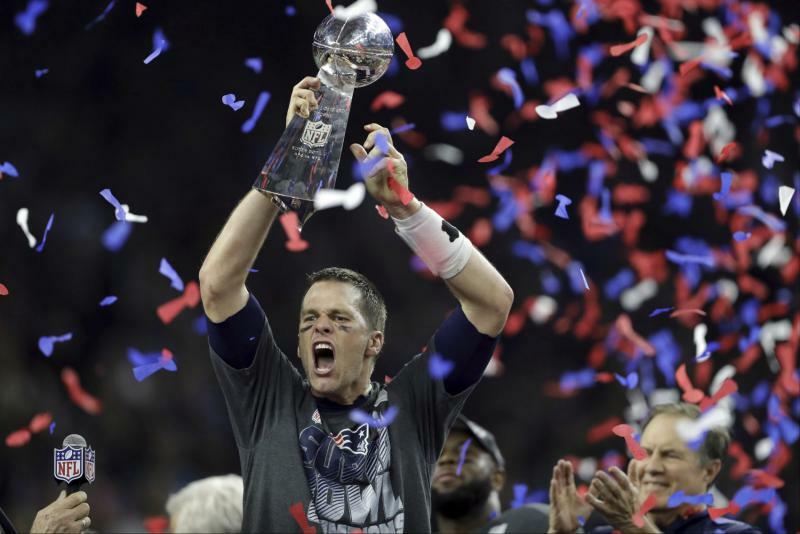 Providence Journal sportswriter Kevin McNamara has been watching the rollout of sports betting in Rhode Island, and says while it’s gotten off to a solid start, the initial numbers aren’t as strong as originally projected. But with the Patriots in the big game, business is brisk. Twin Rivers GM Sculos realizes that some of his guests may be torn. And many of those bettors hope to be standing in the line again on Monday, to collect their winnings.